The Senate may vote as soon as next week on the confirmation of President Obama’s pick to chair the Federal Reserve, according to a Bloomberg report. Citing an anonymous Senate Democratic aide, Bloomberg reported Thursday that a vote on Yellen’s confirmation would happen sometime this month. 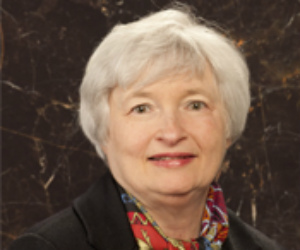 If confirmed, Yellen would be the first woman to head the Federal Reserve. The Senate Banking Committee voted 14-8 earlier this month to send Yellen’s nomination to the Senate floor for confirmation. Most observers expect Yellen to be confirmed to succeed Ben Bernanke as Fed chair. Mortgage industry groups are mostly happy with Yellen’s nomination, since she’s widely expected to retain Bernanke’s easy-money policies – particularly the $85bn-per-month bond-buying program that led to historically low interest rates.